There is a really impressive depth and breadth of fruit on the nose of this wine and whilst it is richer than the Les Corbeaux, it is not quite so elegant, despite a very fine finish. The last few vintages have shown a freshening up of the Srafin style, though absolutely not at the expense of the concentration which is a hallmark of this domaine. The concentration of the fruit comes from their meticulous work in the vineyards, the fresher style from a little less extraction during fermentation. Christian himself thinks that 2010 is notably more concentrated than 2009 and as everywhere else, yields are down this year. 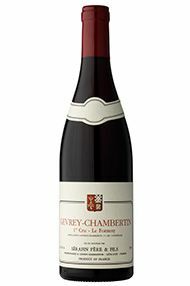 The Wine Advocate - The 2010 Gevrey-Chambertin Les Fontenys is strikingly beautiful. A rich fabric of dark red fruit flows effortlessly as this gracious wine opens up in the glass. The balance of fruit, acidity and structure is very nicely done. Anticipated maturity: 2016-2025. This domaine was originally put on the map by Christian Sérafin’s father, Stanilaus Serafin, a Polish émigré, who settled in Burgundy before the war and espoused 50 per cent whole-bunch fermentation and not too much new oak. He initially worked as a mason, before, in 1947, purchasing some land and establishing himself as a vigneron. 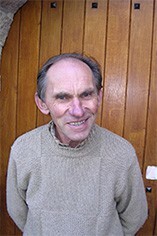 His son Christian inherited the domaine in 1988, though he had been making the wine for the previous twenty years. Christian Serafin has made great advances in recent years and has a keen following in the United States. Like so many of the best producers in Burgundy, the twin peaks of Serafin's philosophy are old vines and low yields. The grapes are fermented at highish temperatures ensuring good depth of colour and fruit. Crucially Christian Serafin's wines are not filtered and recently the levels of new oak have been on the increase, with even the Gevrey village being matured in 50% new oak. These are rich, concentrated, oaky wines which age well. On Christian’s watch the grapes have been completely destemmed and, except the lowliest cuvées, matured in entirely new wood. 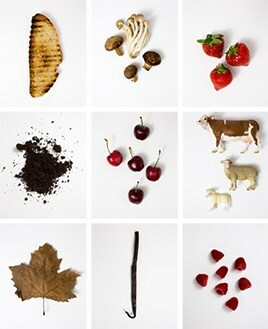 Much thought goes into matching a particular tonnelier and forest with the character of a given vineyard. He likes the elegance of Taransaud for some and the power of François Frères for others. This makes for powerful wines with noticeable tannins, which do however emerge with fruit and terroir intact after a decade or more of bottle age. The key is in the vineyard work with strict pruning and de-budding, followed by a green harvest and deleafing on both sides. Christian Sérafin is now past retirement age, but with a niece in the vineyards and a daughter in the cellar and office, continuity is in place.